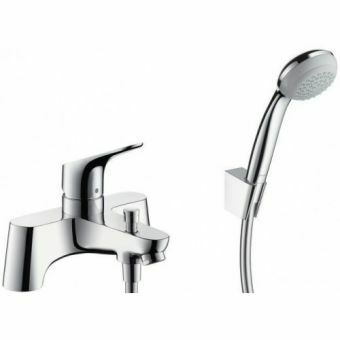 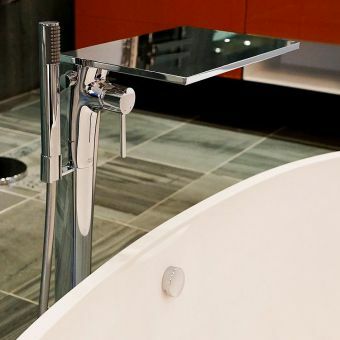 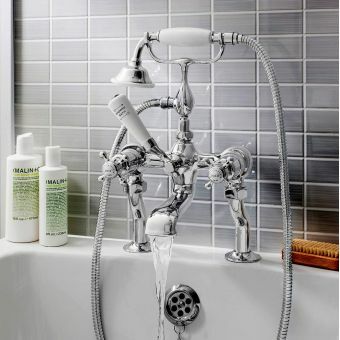 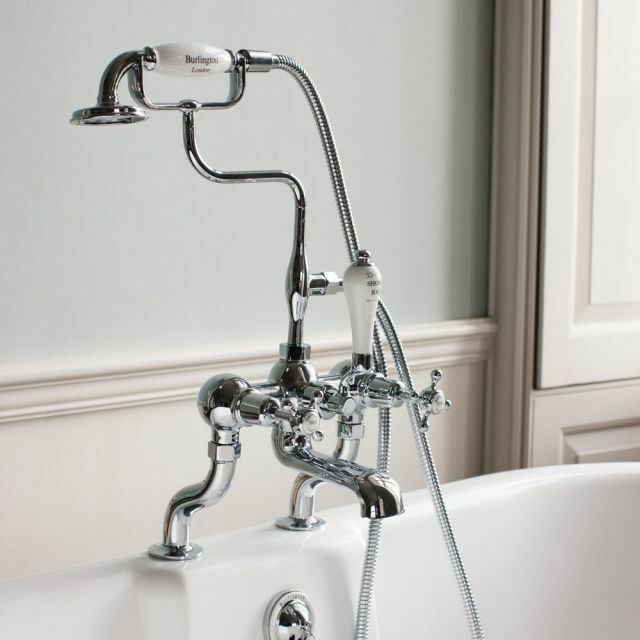 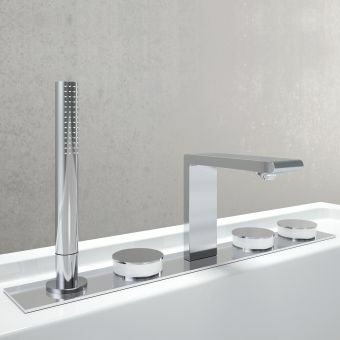 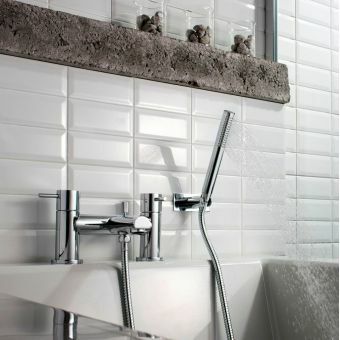 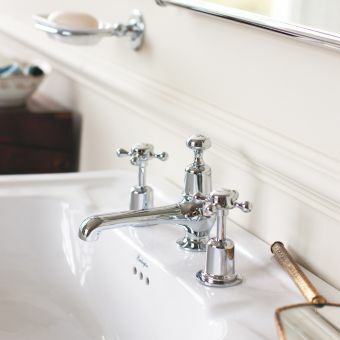 Stylishly crafted, this mixer tap and shower set from Burlington is the ideal accompaniment to the traditional bath tub. 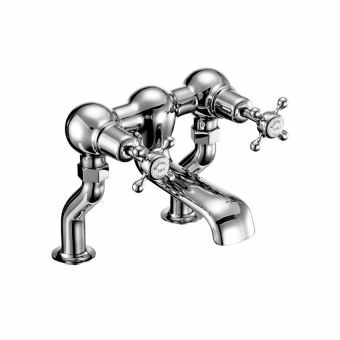 Designed to be deck mounted to the space with two tap holes, it incorporates an integrated diverter to select between the two functions. Offset with white ceramic, the diverter lever handle and handset handle are fully in keeping with the period style presented by the Claremont piece. 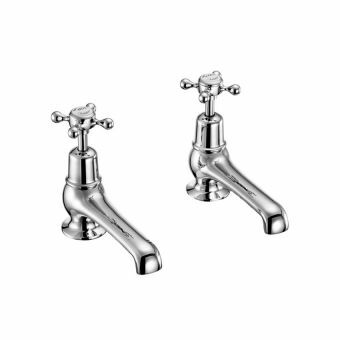 Through using the most up to date manufacturing processes, Burlington achieves a high level of quality and authenticity in each product. 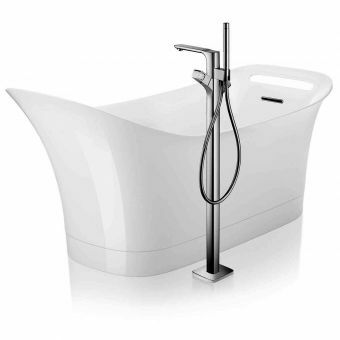 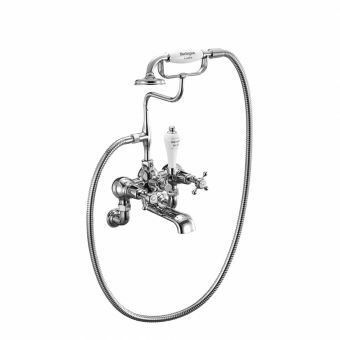 This piece includes the bath spout, standard cradle, the "S" adjuster, the ceramic diverter, hose, ceramic telephone handset, and the wall mounting unions. 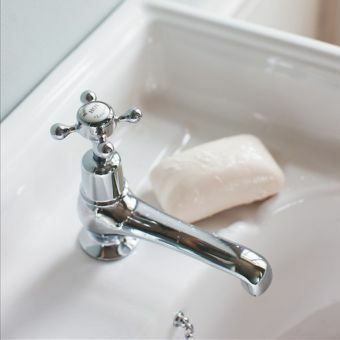 It does not include the waste kit. 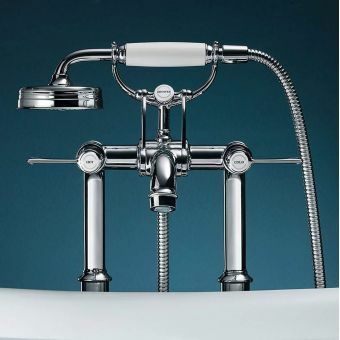 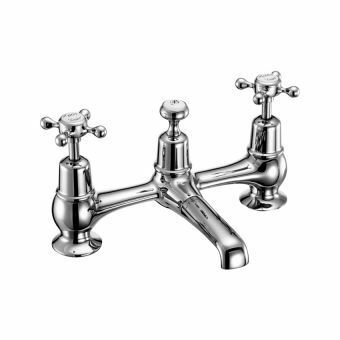 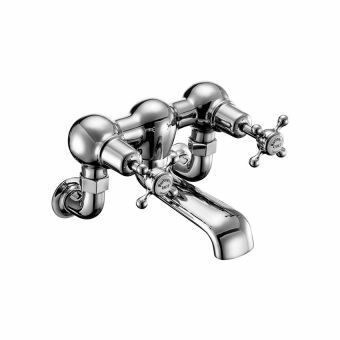 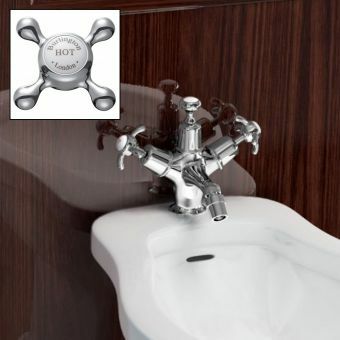 It is available with a screw down valve or with a quarter turn valve, and with standard or angled tap heads to offer a slightly different style. 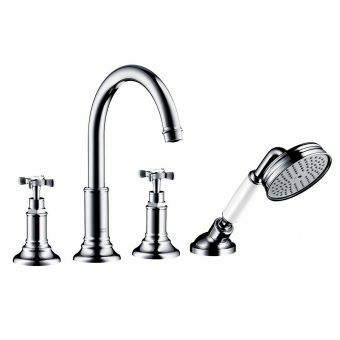 It features a flow straightener for lower pressure systems as well as an aerator for high pressure taps that range from .1 bar up to 6.0 bar.